Panelist Amy Johnson joined KCBS/KCAL9 in 2005 and helped launch the station’s Ventura County bureau the next year. (SIMI VALLEY, Calif. – Aug. 28, 2018) Editors and reporters will discuss the state of local media at the first event in the California Lutheran University 2018-2019 Corporate Leaders Breakfast Series. The breakfast will run from 7:30 to 9 a.m. Friday, Sept. 14, at the Ronald Reagan Presidential Library and Museum in Simi Valley. The panelists are KCBS/KCAL9 news anchor and reporter Amy Johnson, Acorn Newspapers Managing Editor John Loesing, KCLU Radio News Director Lance Orozco and Ventura County Star News Director and senior editor Darrin Peschka. Mary Olson, associate vice president for KCLU, will moderate. They will discuss the industry’s challenges and opportunities. 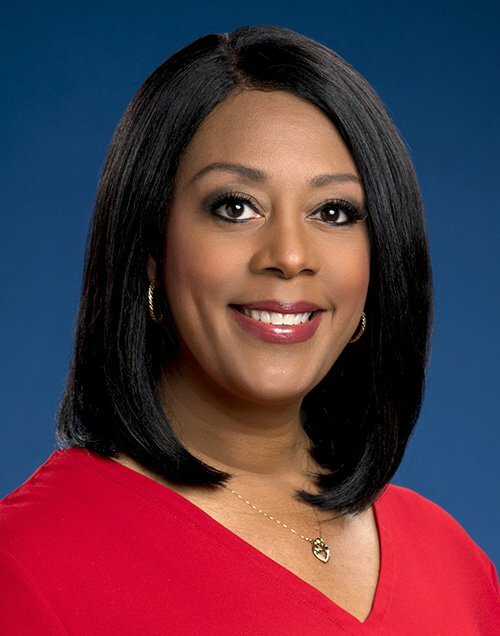 Johnson joined KCBS/KCAL9 in 2005 and helped launch the station’s Ventura County bureau the next year. She began her news career at a CBS affiliate in Coos Bay, Oregon, and went on to stations in Columbia, South Carolina, Milwaukee and Boston before arriving in Southern California. Loesing started at the Acorn as a reporter in 1999, become editor of the Thousand Oaks Acorn and then took on his current role coordinating all editorial content for the company’s five publications serving communities from Calabasas to Camarillo. He also hosts “This Week in Beverly Hills” on the city’s government channel. Orozco has been leading KCLU’s news coverage of Ventura, Santa Barbara and San Luis Obispo counties since he arrived in 2001. He has won four national and more than 200 regional journalism awards for the NPR station and has been the Associated Press Small-Market Reporter of the Year in the western United States 10 times. Peschka stated at the Star as a copy editor in 2002, went on to serve in newsroom roles ranging from community news editor to senior editor, and was promoted to news director in 2017. She has a bachelor’s degree in journalism from the University of Kansas and a master’s in public policy and administration from Cal Lutheran. The series brings members of the business and civic communities together to hear from prominent leaders. The series will continue with the following presentations: Los Angeles Deputy Mayor Jeff Gorell on the region’s hot topics Nov. 9 in Woodland Hills; Museum of Ventura County Executive Director Elena Brokaw, MOXI CEO Robin Gose and Santa Barbara Museum of Natural History CEO Luke Swetland on the next generation of museums Jan. 29 in Santa Barbara; Los Angeles Cleantech Incubator senior adviser Amanda Sabicer on sustainable energy March 8 in Ventura; and VSolvit CEO Payal Kamdar on technology solutions May 7 at Cal Lutheran. Reservations are requested by Sept 10. To RSVP, contact Sharon Nelson at smnelso@callutheran.edu. For more information, go to callutheran.edu/clb.